Located on the east side of the historic Hendricks County Courthouse Square in Danville, the Royal Theater offers fun, inexpensive entertainment year-round and has truly become a best-kept secret in this county. Their lineup for this fall is no exception as it&apos;s filled with classic movies, short films and live music in addition to their usual schedule of new movies. Here is a look at some of the Royal&apos;s special events this fall that you will want to add to your calendar. Diesel&apos;s Sports Grille and the Royal Theater will come together for another season of Throwback Thursday Brew HaHa this fall, beginning Sept. 18. For those who are unfamiliar with this event, beer and other beverages are sold on Brew HaHa movie nights as some old favorites are shown on the big screen. Showtimes are 7 p.m. for all of the movies, and tickets are just $5 a piece. Wear a costume, too, and you&apos;ll have a chance at winning a prize! Sept. 18: "The Breakfast Club"
Just a couple of weeks later, Danville&apos;s own singer/songwriter Landon Keller will grace the stage at the Royal Theater at 7:30 p.m. Oct. 9. He and his band have opened for John Mayer and Phillip Phillips, and now you&apos;ll get to see them at the Royal for just $10 a ticket in advance and $12 at the door. To hear some of Landon Keller&apos;s music, click here. Block Oct. 10 and 11 off in your calendar if you&apos;re a fan of short films because the 2014 Indiana Short Film Festival arrives and the Royal Theater will be a hub of activity the entire weekend. This incredibly popular festival had a whopping 217 short films from all around the world submitted, and judges have selected the 47 best flicks to show in six sessions over the course of the weekend. To learn more about this event and to see the schedule, click here. Finally, on Oct. 16, the Royal Theater will be partnering with the Kiwanis Club of Danville to show the latest installment of Kiwanis Klassic Family Movie Night. Showtime is at 7 p.m., and tickets are sold at the door for a mere $3 a piece for adults and $1 for kids under 12 years of age. You&apos;re probably curious about the movie title, right? Well, I can&apos;t divulge that information. Not until next Tuesday. I&apos;m a member of the Kiwanis Club of Danville, so I know what the movie title is, but I&apos;ve been instructed that I can&apos;t spill the beans until the 30th Anniversary Edition of this movie is released next week. Cover me in slime, marshallow, whatever. Do your worst. I won&apos;t tell what the movie is. Just mark it on your calendar for Oct. 16 and after next Tuesday, you can click here to see the movie title. So, do you have all of those dates on your calendar now? Good deal. 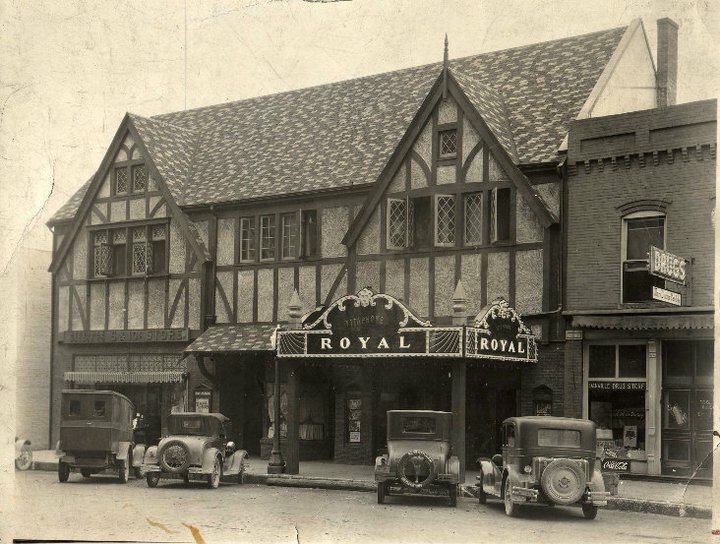 Now be sure to write down that the Royal Theater is located at 59 S. Washington St., Danville so that your GPS can find it. If you have any questions, you can always call (317) 745-1499 or visit their website.